Today we’re paying a return visit to Pam Larson at the blog Knowing God Through His Word. Take a minute to carefully see what she’s noticed in this passage. 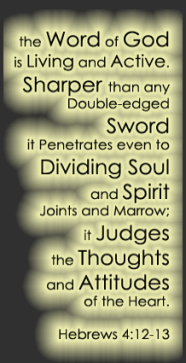 Amazing mercy from a faithful, covenant-keeping God! In Ezekiel 27, the downfall of Tyre is compared to the shipwreck of a fine vessel. Tyre was proud, thinking that they were perfect. But they were allied against Israel. The chapter goes on with a prophecy against Sidon, another one of Israel’s enemies. and I will manifest my glory in your midst. 13-14 Woe to you, Chorazin! Woe to you, Bethsaida! For if the miracles that were performed in you had happened in Tyre and Sidon, they would have repented long ago, sitting in sackcloth and ashes. But it will be more bearable at the judgment for Tyre and Sidon than for you. This passage is also found in Matthew 11. Why Good Friday is Good? This being Easter weekend, I was compelled, like most, to consider the events that took place more than two millennia ago. The immense importance of the passion of Christ can never be taken for granted, but perhaps the exact events, those hidden from view, can escape our appreciation. I have discovered that reflecting on the sacrificial offering of Christ has given clarity to other biblical teachings. Accepting that Christ died for my sins is humbling and awe-inspiring. Appreciating the unseen dynamics is enlightening. For instance, how did his death “destroy the work of Satan”? The Lord’s death was not a simple trade of his life for mine. Christ came “to destroy the devil’s work.” (1 Jn 3:8 NIV) Trading lives would not have accomplished the destruction of Satan’s power. His power rested in his ability to make people sin, bringing about their death and ultimately defeating God’s plan to have a kingdom of priests, a holy nation. The defeat of Satan’s work could only be accomplished by eradicating sin and the death that accompanied it. It is transgression of the law that comprises sin-the law of Moses. Paul wrote, “The sting of death is sin, and the power of sin is the law.” (1 Cor 15:56 NIV) And, “Where there is no law, there is no transgression.” (Rom 4:15 NIV) The law had to be satisfied and terminated. That is what Christ accomplished. It is true that I deserved death for sin just as do all of humankind. I had been caught in Satan’s deceits and those practices that were offensive to my creator and sovereign. Had justice been served neither I nor anyone else would have survived. Satan would have won. There would not have been a single person suitable for God’s presence. Had Christ died for my sins and for those of all of humanity, the devil’s work would still not have been completed since sin would have reared its ugly head again during the remaining part of my life. Some teach that all sin was forgiven at the cross but this is not so. According to Hebrews 9:15, “[Christ] died as a ransom to set [believers] free from the sins committed under the first covenant.” If at confession of faith, only my past sins had been forgiven, I would have still been at the mercy of the devil since my evil nature would have compelled me to continue in sin. Christ not only provided my pardon, he defeated sin by destroying the law that defined it. Christ brought to an end the Old Covenant, the covenant of the law of Moses, the covenant that kills. 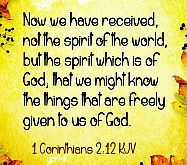 (2 Cor 3:6) There can be no more sin under its jurisdiction. (see again Rom 4:15) This is Christ’s great victory over the devil. He robbed Satan of his power. Again, the writer of Hebrews stated, “For this reason (to cleanse our moral consciences from acts that lead to death) Christ is the mediator of a new covenant, that those who are called may receive the promised eternal inheritance.” (Heb 9:15 NIV) The writer also stated, “By calling this covenant ‘new,’ he has made the first obsolete.” (Heb 8:13 NIV) Believer’s are no longer under the righteous requirements of the Old Covenant and the evil one can no longer use its laws to cause sin and to bring about death. That is not the end of the matter, however. John wrote of The Lord’s victory and of his proclamation: “I am the first and the Last. I am the Living One; I was dead, and behold I am alive for ever and ever! And I hold the keys of death and Hades.” (Rev 1:18 NIV) The one who holds the keys has the power to control their use. That is, Christ has the power to determine who will die, who will be sentenced to Hades, and who will find eternal life. These are his determination! The great work of the cross was the destruction of Satan’s power by instituting a new and better covenant empowered by Christ, and the cleansing of believers from the sin that they carried while under the Old Covenant. You feel powerless. Something is broken and you don’t think you can fix it. There is a problem and you don’t think you can find a solution. The complexities of life are like a maze and you don’t think you can find your way. What are we to do when we feel powerless? Our friends may respond with a big dose of positive thinking; you are powerful, you can do anything, you are amazing! And sometimes, when we are thinking of ourselves more lowly than we ought, we need affirmation. But sometimes affirmation falls short. It feels hollow somehow. It is not just that we think we can’t fix it, or find the solution, or find our way. It is that we can not fix it, find the solution, or find our way. Sometimes we don’t just feel powerless, we are powerless. In Revelation chapter three we have a letter to a small community of Christians who are of “little power.” (Revelation 3:8) This small community of Christians in Philadelphia could easily feel overwhelmed by those loyal to Roman ways of thinking and acting. They could also feel overwhelmed by those who strictly observe the Hebrew Bible but who don’t share their excitement over Jesus as the fulfillment of those scriptures. These two communities were much larger than the Christian community, and persecution was known to happen. So what does Jesus have to say to these powerless Christians? Jesus is in effect saying, “I am the Holy One, and so the only One who has the power of God.” We read in Mark chapter 1 of a demon saying “What have you to do with us, Jesus of Nazareth? Have you come to destroy us? I know who you are, the Holy One of God.” (Mark 1:24). The demon knew Jesus had the power to destroy because the demon knew Jesus was God’s Holy One. The word “true” here means “authentic, genuine.” Jesus is the “real deal.” No one but Jesus can promise relationship with God, life, or eternal life, and deliver on the promise. Jesus holds the key of of the Kingdom, and makes decisions on the door of the Kingdom. Persecutors may make decisions about a person’s death, but Jesus is the one who makes decisions on every person’s life & eternal life. Jesus knows stuff! Nothing escapes his notice, neither the patient suffering of the persecuted, nor the evil deeds of those who persecute. Jesus creates opportunities. It may feel like opportunity belongs to the strong and powerful. However, Jesus can create opportunities for those with little to no power. In other words “I will make justice happen.” There is a turning of the tables here, from the Philadelphian Christians being kicked out of the synagogue to those of the synagogue gathering around them. Jesus will clear up misunderstandings. Those who hate people because they think God hates them will someday find out whom God loves and how foolish it was to hate. Here Jesus promises to hold the Christians through a time of trial. There are differing interpretations on the “what” and “when” of this “hour of trial.” The important thing is the promise of Jesus to keep his people through it. Jesus will return and those persecutors who say that he is of no consequence, will see him and come to a new appreciation of just Who He is. Jesus will ensure the believer’s presence with God. They may have been cast out of the synagogue, and disowned by the city, but Jesus will give them a secure standing in his temple, the Bible’s great symbol for the presence of God. This is a promise of inclusion in God’s people, as well as a promise of reflection of God’s character, a “family resemblance” if you will. “I know that you have but little power, and yet you have kept my word and have not denied my name. . . . Because you have kept my word of patient endurance, . . .” (Revelation 3:8,10). Do you feel powerless? Something is broken and you don’t think you can fix it? There is a problem and you don’t think you can find a solution? The complexities of life are like a maze and you don’t think you can find your way? Perhaps you are correct. But you are not God. You don’t have to be. Look instead to the One Who Is. There is one matter in life where we are completely and utterly powerless. We have absolutely no power to reconcile ourselves to God. But God does. And He has made it happen through Jesus at the cross. Let us not look to ourselves with false affirmations, but look to our Lord and Saviour with honest affirmations of His power and love. Today we pay a return visit to the video series Seven Minute Seminary at Seedbed.com. This video is 3½ minutes long and features Dr. Ben Witherington. Have your Bible or Bible software/app handy while you’re listening. What happens to those who never hear the gospel? It’s a fair question to ask, and Christians throughout the centuries have answered it in different ways. In today’s Seven Minute Seminary, Dr. Ben Witherington tackles the problem by drawing a parallel to how God will deal with his people Israel at the end of the age, a theme treated in Romans 1. How we answer this issue, sometimes framed as the destiny of the unevangelized, remains consistent with the consensus of historic Christianity and Scriptural teaching if we acknowledge that Jesus is the means of salvation—whether a person has explicit knowledge of Jesus and the gospel (exclusivist or restrictivist view) or whether a person has faith based on God’s general revelation made available to everyone (inclusivist view). On the other hand, the pluralist view, asserting that Jesus is just one of many ways to God, should be rejected (John 14:6; Acts 4:12; 1 Tim. 2:5-6). Several challenges present themselves for each view. For those who argue that a person must somehow hear the gospel in order to be eternally saved, they must answer how exactly the saints in the Old Testaments will attain life everlasting (see this thought experiment by Roger Olson). Furthermore, they must deal with the fairness of their perspective. For those who affirm an inclusivist view, they must struggle with maintaining the centrality of repentance and the transforming power of the Holy Spirit in salvation, and the urgency of missions around the world. In the end, our Father, who has a holy and loving character that we can trust, will ensure that all is made right. People of note throughout church history who taught inclusivism: Justin Martyr, Ulrich Zwingli, John Wesley, C. S. Lewis, Clark Pinnock. More Scripture to consider: Psalm 19:1-4; Ezekiel 33:11; Luke 16:19-31; John 1:9; 9:12; 10:16; Acts 14:17; 17:26-27; Romans 1:20; 10:9-18; 1 Timothy 2:4; 4:10; 2 Peter 3:9; Hebrews 9:27. See also: “What Happens to Those Have Never Heard the Gospel? How Prevenient Grace Makes a Difference” by Brian Shelton. View the growing playlist of Seven Minute Seminary. Occasionally we get a referral to an article on a blog which is new to us, only to discover the author has stopped writing. Still we wanted to share this February article with you today. This is a simply written response to a tough question that acknowledges its complexities. To read this at source click the title below. The author is Albert Wagner. Is There A Limit To God’s Mercy? This America can be a messed up place. You can witness it on any given day. People, while claiming to have their own reasons, go and repeatedly do the wrong thing – willfully and stubbornly, sometimes – while knowing deep down it is wrong. They continue this process with the thought that a loving God will forgive them, because it states that in Scripture. Sometimes the sin is minor (such as a white lie) and sometimes it is more significant (such as repeated cheating on a spouse). But, in this case doing the wrong thing means the person knew better deep down. It might harm them financially or regarding their health, to use a few other examples, but it does not matter to them. Some go to church on Sunday and ask for forgiveness and some don’t. Will God keep forgiving the same sin, or there a limit to God’s Mercy? To begin with, here might be the thought process (for a Christian). The Bible says that God forgives sin through the work of Jesus Christ. God is loving and wants his Creation to be saved. “I do not say to you, up to seven times, but up to seventy times seven” (Matthew 18:22). So, there it is in the Bible. It sounds like God will forgive your sin, as long as you repent. After all, sinning is often the easier choice, even if it means pain later. People might think that as long as they end up in heaven in the long term, then what does it hurt anyone to sin now? They think in their minds that, as long as they end up in the same place, what does it hurt to sin? So what is there to stop you from going and sinning repeatedly, with the idea that you will be forgiven? In fact, Scripture is clear those who do not live a changed life and habitually continue in sin are not true believers. There is also a matter of interpretation. And, though this is a hard verse for some, one interpretation states this is speaking of those who do not repent. That means sincerely repenting, changing what you do and living a life of faith. It involves more than sitting in a church pew for one hour a week on Sunday. Please also remember that Scripture mentions the concept of hell in several places. However one interprets this idea, it sounds like God does have some limits on those who repeatedly do the wrong thing. And, please remember: A person can have eternal salvation, yet still experience consequences of sin. Humans might not understand how that works, but it is important to consider. In addition to these things, It is also said if you are aware of your sins and they bother you, then the Holy Spirit is working and speaking to you. This is a good thing. It is better to have your sin bother you than to sin with no remorse. All in all, one should be careful in ascertaining these things, as your eternal salvation is dependent on it. That might sound obvious, but it might be worth pondering. Scripture is not intended to be black and white, but something to be pondered. You still have time to change, because as humans we are all probably guilty of this at one time or another. Yes, God wants you to repent. However, he also wants you to continue to live a life of faith like he directed in the Gospels. In the end, though, God is the judge and it is not based on human reasoning. The opinion of the author is to try to be aware of your sins and repent. Christmas is On the Way. So is Jesus. Christmas is on the way, but what kind of Christmas celebrations will there be for many Christians who have experienced persecution this year? Consider the outright violence and threats of violence. Consider the desperate times as ISIS spread across Iraq and Syria. Convert, pay a tax, or die. Christians in the Middle East are now among the most persecuted people groups in the world. We may trip over the words of Revelation 1:6 that speak of how God “made us to be a kingdom.” It can feel like a pretty weak kingdom. It must have felt like a pretty weak kingdom to the first readers of the letter we now call Revelation. Those early Christians were facing greater amounts of persecution from a persistently powerful Rome. Though confessing “Jesus is Lord,” it must have seemed sometimes like Caesar was the more powerful lord, or at least the king of the winning team. In Daniel 7 there is a vision of four terrible beasts that come up out of the water, each one representing a kingdom. That these kingdoms are described as beasts points us to their inherent inhumanity. But these kingdoms each meet their end, and so begins a new era under a new king, one like a “son of man.” In other words one who rules in a truly human, or at least human as God originally intended, rather than beastly fashion. Revelation 1:7 therefore is not a new idea, but rather a confirmation that God’s Kingdom is coming, and it is Jesus who is the Son of Man, and so the true coming King. All the horrors that Christians might face at this time, no matter how beastly, will be swept away. Just wait. “Every eye will see him.” Some people think that advances in technology will be what makes this possible at the return of Jesus as everyone will be able to see Him on their smartphones. I’m sure this is not a reassuring thought to technophobes! This actually describes a much more significant kind of event than a simple appearance of Jesus to be captured on an iPhone and shared through Twitter. The second coming of Jesus will be heralded with much more than a tweet. This is not like Christmas where we think of only the shepherds and magi having the opportunity to get close to him. While the conception of Jesus was supernatural, his birth was natural. You might even call it ordinary, except that every birth is extraordinary. The first appearing of Jesus was natural, the next time it will be supernatural. “Every eye will see him.” This includes even those currently without sight. This includes . . . Here again is that reference to the prophecy from Daniel 7. On the lips of Jesus we now realize it is not just the Roman rulers, but even the religious rulers of Jerusalem who are implicated as being beastly powers. And in referring to Daniel 7 Jesus is basically saying “you stand over me in judgement now, but just wait, someday I will stand in judgement over you.” That those who perpetrated the greatest injustice of all time will see justice is a great encouragement for the Christian who experiences the injustice of beastly powers. Just wait and see. 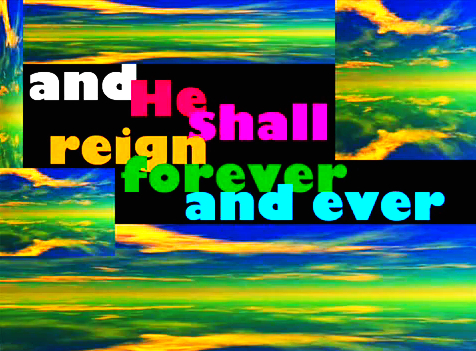 “And on his account all the tribes of the earth will wail.” Why will there be wailing? Because those who dish out injustice do not like being at the receiving end of justice. The next time Jesus comes it will not be the stuff of cutesy Christmas cards. Some people find the concept of Jesus being just in His judgement as being distasteful. It can sound rather “unChristian” and “unaccepting.” Yet we fail to recognize that we naturally celebrate when good triumphs over evil. The original Star Wars trilogy would have ended horribly had the emperor not met his doom. Spoiler alert! The Hunger Games trilogy would have ended horribly had good not finally triumphed over evil. The return of Jesus will be the final triumph of good over evil. The cross of Jesus is the ultimate triumph of good over evil. This is the season of Advent, a time of waiting and expectation. Many people are looking forward to Christmas who are not not looking forward to the return of Jesus. Many people are looking forward to Christmas who really ought to fearful of the return of Jesus. This is a shame, because Christmas points us to the cross where Jesus died in our place. It was at the cross that the greatest triumph of good over evil occurred. And it is because of His love that we can look forward, not with fear, but with hopeful expectation to the return of Jesus. His judgement of sin has already taken place for those who turn to him in trust and repentance. So what kind of a kingdom do Christians comprise when we seem to be so weak in the world? One with the greatest King ever, awaiting the final triumph of good over evil. If you have trouble believing that, then just wait and see. All scripture references are taken from the NRSV unless otherwise noted. Today’s devotional was written in anticipation of Pentecost Sunday, but sometimes it’s good to distance our reading from specific dates. For example, as I’ve suggested before, reading the Christmas narrative on a hot August day may help you see something in the text you’ve missed before. So we pay a return visit here to SpiritChatter, the blog of Jack Levison. As usual, click the title to read this at source. In the days prior to that first Pentecost, Jesus’ followers were huddled together, gathered around a single command, a solitary promise. Jesus had told them to wait in Jerusalem for the “promise of the father” (Luke 24;49). So they did. What would that promise have looked like to them? What exactly were they waiting for? A clue to the answer lies in Peter’s sermon, which he delivers after the upper-room faithful are filled with the holy spirit and speak in other dialects, which scattered Jewish pilgrims from throughout the Roman Empire are able to understand. Peter quotes from Joel 2 (Joel 3 in Hebrew): the spirit has been out-poured, slaves and slave-girls, young and old, male and female can now prophesy. Peter’s use of Joel provides a pretty good clue to what the earliest followers of Jesus were waiting for. They waited for the outpouring of the spirit. That was the promise of the father. Joel 3, which Peter quotes, belongs to a collection of promises that God would pour out the spirit. Prior to this, our own Pentecost, let’s look at a lesser known promise of the outpouring of the spirit—in the hopes that we, like Jesus’ earliest followers, can wait for the promise of the father, too. In the earliest of these promises, the prophet Isaiah confronts women who are mired in complacency—whether by their own choice isn’t clear. Isaiah predicts a failure of harvest, the aftermath of a war that will devastate the palace and city. These women, Isaiah urges, should beat their breasts in mourning for the death of their fields and vines. The advent of the spirit will mean the inauguration of justice. Like so many promises, however, there is something vague and inexplicable, something unimaginable about this one. How will good judgment dwell in the wilderness, and how will justice occur in fruitful fields? Shouldn’t justice come to city gates, where men gather to deliberate? Shouldn’t justice come to palaces, where kings and queens rule? Not this time. This may just be an image of justice toward workers, a promise of fields with corners left unharvested so that the poor and aliens, like Ruth, can gather their food. Is Pentecost about migrant workers? Does the promise of the father demand that we work on behalf of the workers who pick and pluck our Pentecost lunches, our strawberries and lettuce leaves? Is that what Pentecost means today? And the effect of right judgment and justice will be, of course, peace, quietness, lack of fear. There will be, in short, security and stability. In the aftermath of destruction, in the wake of desolation, people will come home. Home will come to the homeless. Is the promise of the father, the foundation of Pentecost, that home will come to the homeless, to wanderers, to migrants? Probably. That’s why the outpouring of the spirit in Isaiah’s vision doesn’t happen in sacred sanctuaries, with red-festooned banners, with red-vested priests and pastors, with red-breasted bishops. The outpouring of the spirit, the advent of Pentecost, happens elsewhere: on the edge of desolation. That’s the promise of the father. Today’s article is presented jointly with Thinking Out Loud, part of our blog network, which looks at topical issues and Christian current events 7-days-a-week. Gal 6:14 May I never put anything above the cross of our Lord Jesus the Anointed. Through Him, the world has been crucified to me and I to this world. Of the debt of love that is owed by this thankful heart. As I thought about it later, the song is strongly oriented to Easter even though the title points to a personal response of sacrifice to God. NIV I John 4:8b …God is love. 9 This is how God showed his love among us: He sent his one and only Son into the world that we might live through him. 10 This is love: not that we loved God, but that he loved us and sent his Son as an atoning sacrifice for our sins. The speaker said that while “the holiness of God demanded that there be a punishment for sin, the love of God demanded that there be a way of salvation.” The sermon title was, “There Had to be a Cross.” That reminded me of another song by another British songwriter, Graham Kendrick, Here is Love. The speaker said the cross is the intersection of our sin and God’s love; you could also God’s requirement for justice meeting his loving mercy. My prayer today is that you also would find something new in the Good Friday/Easter narrative, and would make a personal response. Here’s the song that follows the one above from Graham Kendrick. 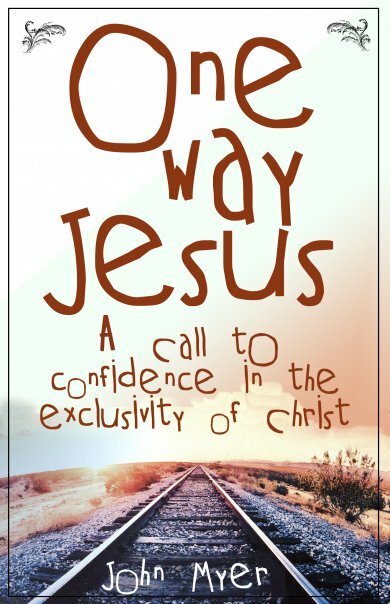 Why is Jesus the only way? Jesus himself taught this, as did the first Christians. To believe otherwise is to depart from a Biblical Christianity. But why did it have to be this way? Why can’t God just make it such that all sincere believers of anything, or something, or nothing in the case of a sincerely good atheist, are all on a path to God? We should take a moment here to recognize that many people, Christians included, do not like to hear about the “wrath” of God. It makes God sound like he is terribly, well . . . judgmental. But let us consider that the wrath of God is the expression of the justice of God. While we don’t like hearing about wrath we recognize that justice is good. When justice is missing in the world, we long for it, we work for it, we pray for it. If justice were missing in God, we very soon find ourselves longing for it. The wrath of God, the expression of God’s justice is part of the glory of God. To ask God to express no wrath would be to ask God to have less glory. Wrath is part of the goodness of God. God is perfectly just. God cannot be perfectly just and turn a blind eye to sin no more than a judge can be perfectly just and pay no attention to the evidence just because he or she happens to like the defendant. Here we have the reason that Jesus is the only way. In Jesus the perfect justice of God meets the perfect love of God. No one comes to God the Father except through God the Son, because He is the only One through Whom the perfect justice of God could be expressed in a way that saves sinful people. This justice and love comes together at the cross. No one else could pay the penalty of sin for us, because everyone else has their own sin on their heads. 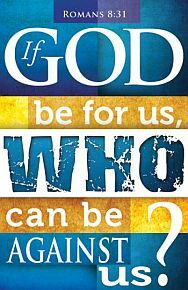 Except Jesus, He is the only One who could stand in our place while the perfect justice of God is expressed. And He is the only One to ever have claimed to do such. Because of Jesus, people are able to stand on the day of God’s wrath, the day His perfect justice is expressed. But this still sounds very exclusive to some people. However, notice how wonderfully inclusive this vision is. It is a “great multitude that no one could count, from every nation, from all tribes and peoples and languages.” No one is excluded on the basis of race, gender, status, or nationality. God’s love knows no boundaries. You can be included in that multitude through repentance and trust. But perhaps it is your love that has boundaries? Perhaps it is not God’s love for you that is in question, but your love for God? If this is the case, I hope you will dig deep and consider your response to God’s offer of salvation through Jesus. I hope you will be found standing. Today’s graphic is obviously a book cover, but now I can’t track down the source. These verses originally speak to the rulers surrounding Israel in Old Testament times, and the “anointed” referred to the earthly king of Israel. But they also point to Jesus Christ as true King, and to rulers throughout all of history and even today who operate in ways that are far from the Kingdom ways of the Lord. No thought is given by all such rulers to the possibility that Jesus Christ is “King of kings, and Lord of lords” (Rev 19:16) and that they are subject to His rule. They are expected to follow Christ as they lead others. Keep reading in Revelation and you will learn what happens next to “the flesh of kings, the flesh of captains, the flesh of the mighty” (v18). It is not pretty. Can you imagine that day, when the each ruler of the earth will stand before the judgement seat of Christ to give an account for how they ruled? Can you imagine the questions that will be posed to them? Why did you not follow Me? Why did you not follow the example I set of servant leadership? I am the Good Shepherd, who laid down His life for the sheep. Why did you not do likewise? Why did you not lead people to Me? Is it not your duty as a leader, as a shepherd, to lead your people to greener pastures? Why did you instead plunge them into darkness? Why are you making excuses? Did you not notice the greener pastures? Did you not see the positive impact My people have had in the world, wherever they have been truly following Me? Why are you making excuses? Did you not notice how people have been following Me for many, many, many generations. Did you seriously think Christianity was just a passing fad? Did it never cross your mind that maybe your rule and your cause was the passing fad? Did you stop to consider the positive impact upon your people had you drawn close to Me? The potential was too profound to ignore the possibilities. Did you stop to consider the eternal implications for you in your relationship with Me? The potential was too profound to ignore the possibility. Did you put any effort at all into exploring the evidence for My claim to being your Lord? Did you ponder the evidence for the truth of Christianity? As a leader, ought you not to have taken a lead in the most important questions ever asked? Can you imagine it? And can you imagine what would happen if rulers everywhere would seriously explore the Christian faith? Can you imagine what kind of world we would live in if rulers everywhere would repent from their sins and turn to the Lord following the example of the Good Shepherd who “came not to be served but to serve, and to give his life a ransom for many” (Mark 10:45 NRSV)? Final questions: Are you aware that you have people in your realm of influence? Are you aware that you may be considered a ruler of this earth? Are you aware that those same questions could be posed to you? Let us pray for those who are living in darkness. Let us pray for the rulers who plunge or keep their people in darkness. Let us be encouraged that this world’s story is far from over and that darkness will give way to light. Let us pray that we will serve well, whenever and wherever we reign, and that in doing so we will reflect light into the lives of our families, friends, and enemies. This week we went to an event that featured Steve Geyer, who was billed as a comedian, but really shared his heart for over two hours in a much more pastoral sense. In one section he spoke about the surprising and unexpected things that take place in the earthly ministry of Jesus; things where the events and people and situations get turned on their heads, including the time Jesus is anointed with perfume by an uninvited guest to a party. That phrase really hit me. Here we see another example of the contrast between “Gentle Jesus, meek and mild;” (itself not a fully accurate rendering of the earthly ministry of Jesus) and the one who sits at God’s right hand from where “he will come to judge the living and the dead.” Mercy contrasted with justice. God’s love versus God’s judgment. John 5:24 “Very truly I tell you, whoever hears my word and believes him who sent me has eternal life and will not be judged but has crossed over from death to life. 25 Very truly I tell you, a time is coming and has now come when the dead will hear the voice of the Son of God and those who hear will live. 26 For as the Father has life in himself, so he has granted the Son also to have life in himself. 27 And he has given him authority to judge because he is the Son of Man. Matthew 25:31 “When the Son of Man comes in his glory, and all the angels with him, he will sit on his glorious throne. 32 All the nations will be gathered before him, and he will separate the people one from another as a shepherd separates the sheep from the goats. 33 He will put the sheep on his right and the goats on his left. Jesus pours out love and compassion to so many in the gospel narratives, but just as a parent gently loves a child, so also does a parent not hesitate to bring rebuke, correction and discipline. 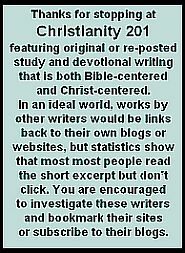 (See this link for an interesting parallel between that and the work of the scriptures in our lives.) God’s justice must be satisfied, and yet, as I ponder Steve’s statement, I see even there a justice that is tempered by mercy and grace. Scriptures quoted today are NIV; all underlinings in the creed and Bible verses added.